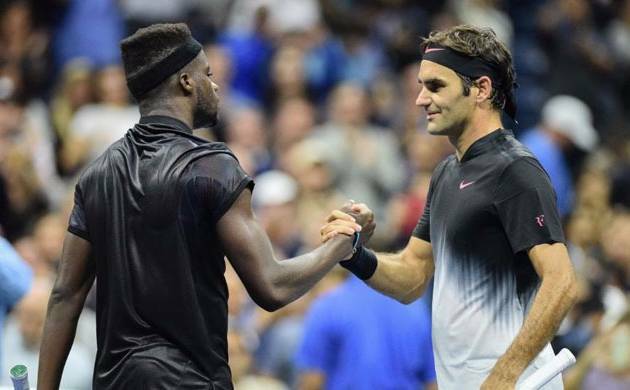 Five times US Open champion Roger Federer overcame a stiff resistance from American teenager Frances Tiafoe to win an epic five-set opening round match at the US Open on Tuesday. The 36-year-old Swiss, who won the Australian Open and Wimbledon title earlier this year would look to round off a stellar year by lifting his third major of the year and 20th of his career. The battle between the Swiss Mestro and the American teenager played out in the Arthur Ashe Stadium was one of only nine matches to be completed as torrential rain swept 55 matches off Tuesday`s schedule. Meanwhile top-seeded Rafael Nadal notched up an impressive 7-6 (6), 6-2, 6-2 win in his opener over No. 85 Dusan Lajovic of Serbia under the roof at Arthur Ashe Stadium. Nadal began slowly in this match but eventually found his groove as the match went along. The Spaniard overcame a 5-3 to clinch the opening set. Once he came through the first set tiebreaker, his stature as the top seed was evident as he picked apart the Serbian’s game.